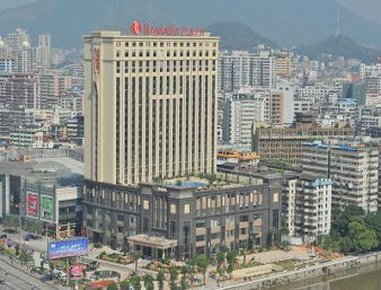 Ramada Plaza Shaoguan City Centre is an international five-star standard hotel that invested by Fengdu Estate Co., LTD. The hotel is franchise managed by Ramada brand of Wyndham Hotels Group. 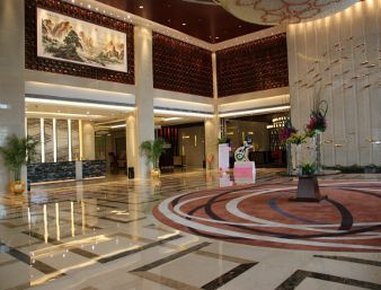 It is the only international high-grade five-star hotel currently in Shaoguan city. Also it is the milestone of hotel history in Shaoguan city. According to your choice you can enjoy the comfortable luxurious rooms, efficient business center and different styles of wide variety foods. The natural lighting swimming pool, fitness center and unique spa that located on the fifth floor is a perfect place for your entertainment and relaxing. 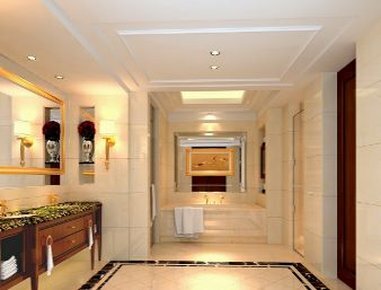 It is professional to provide the comfortable luxurious five-star accommodation and service exclusive for high quality business passengers, leisure tourists and conference team. The main building is 23 floors with Zhen river view. 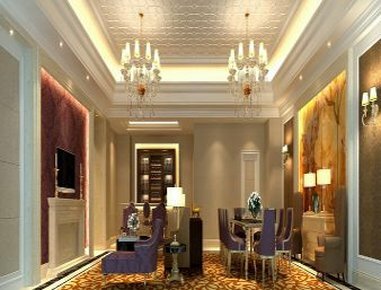 It is the new landmark building of Shaoguan city; the hotel has 320 rooms which include many kinds of comfortable luxurious guest rooms, suites, executive floor rooms and presidential suite. 4 elevators provide the rapid service. All rooms are elaborate design for high quality business travelers, which let you enjoy the warm and comfortable guest rooms. Beds are equipped with convenient and practical control button, independent air-conditioning system, with 42 inch wall hung LCD TV provide many satellite TV channels that you can see the global consulting, sport game and movie entertainment at the first time. Independent bathtub and shower facilities satisfy different guest preferences, a series of luxurious products and perfect service create more comfortable and memorable experience for the busy business travelers, including the mini bar, soft and comfortable arm-chair, 24 hours laundry and room service, human body engineering design office chair, High-speed broadband network, data interface, IDD, voice message system, private safe box, all makes a great convenience for business travelers. The hotel also separates the rooms to smoking rooms and non-smoking rooms. Also have a barrier-free room. 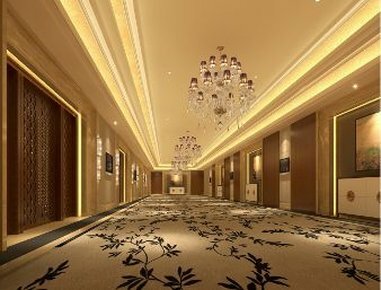 Ramada Plaza Shaoguan City Centre has the magnificent banquet hall and the comfortable quiet function rooms, and is equipped with advanced facilities, also with high quality professional service team, which can provide you the consideration personalized service. 8 meters tall luxury no column banquet hall, with more than 1200 square meters area can accommodate a large banquet, conference or cocktail party with 1000 people. In addition, the hotel also equipped with 8 different specifications function rooms, with advanced lighting, simultaneous interpretation system, high-end video conference facilities, and high speed internet access service for meeting. Set the stage freedom for different needs. Four of the function rooms are sight line with Zhen River overlooking. Whether board meeting, high-end luxuriant banquet, celebrations, enterprise meetings....Ramada Plaza Hotel Shaoguan is your best choice.